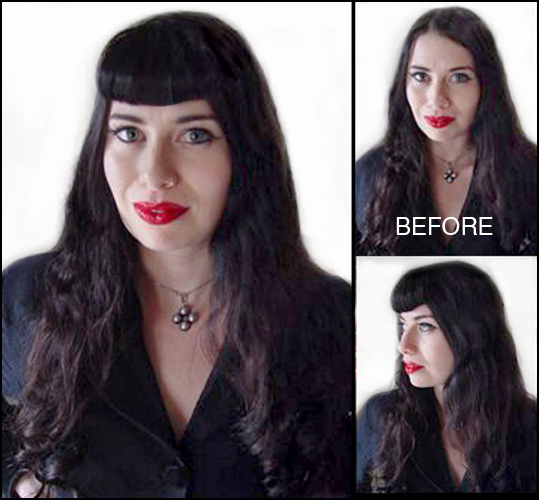 100% HUMAN HAIR Pin Up Girl Clip-on Bangs in a style like Bettie Paige had in the 1940s. Some colors (+5) are $5 extra. One piece 3" long rounded. It can be tinted, toned or streaked with a DARKER color by your hairdresser, but you cannot lighten it. These come pre-cut so you don't need to cut them. Sold separately. No returns allowed on human hair products.